It’s getting hot, and that means that you might want to skip a cooked meal and opt for a refreshing salad instead. We love the interesting mix of flavours in this recipe – trust us, they come together! 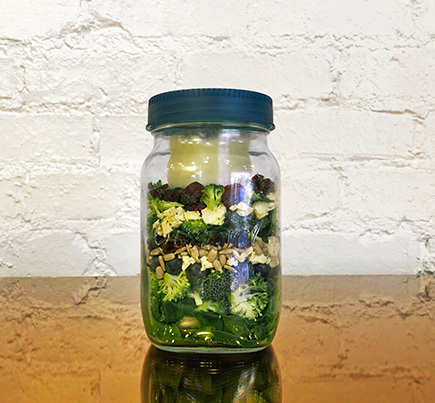 Make it at home and use our Jar in a Jar to keep the flavours fresh for lunchtime. 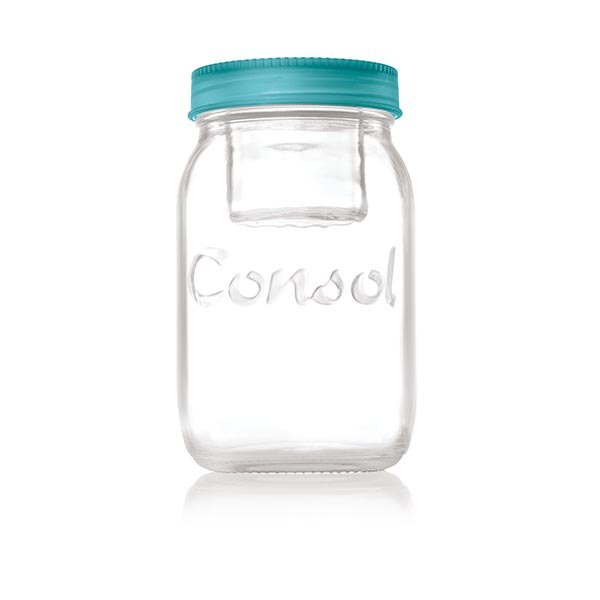 This innovative bottle preserves the salad’s flavour, but also stops it from getting soggy, since you can keep the sauce in the smaller jar. Make a paste out of the garlic by peeling and smashing it. Add salt. Combine with the yoghurt, mayonnaise, lemon juice, paprika, and pepper. Mix well. Chill the dressing for a few hours if you have time so that the flavours can set. Combine the spinach, broccoli, blueberries, feta, cranberries and sunflower seeds.